North Bihar, India, is a land of water. For several months a year, the rivers that crisscross the landscape erupt from their banks and flood in all directions. As the land becomes a sea, chances of survival become gendered and diluted: in the floods of North Bihar, women die more often than men. This is not due to their lack of skills: more women than men know how to swim. 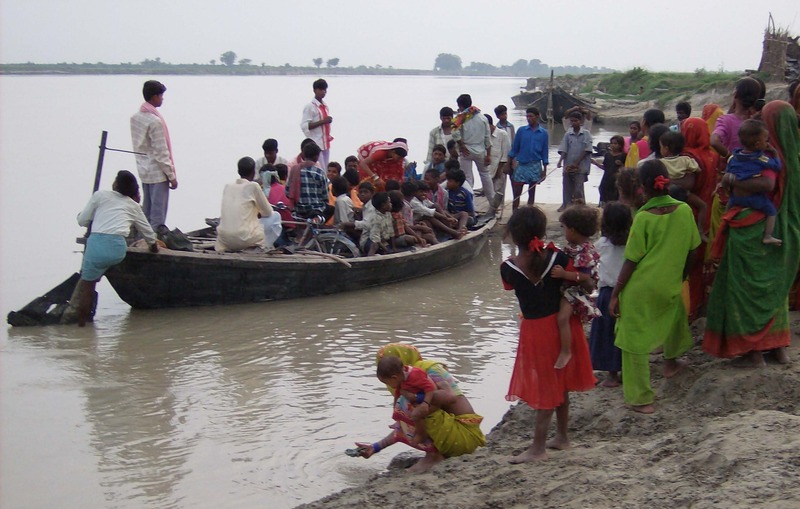 Informed by first-hand experience of floods and by over five years of ethnographic research across seven major rivers of North Bihar, this talk juxtaposes the lexicon of disaster and the experience of women in flooded North Bihar to understand gendered mechanisms of vulnerability. Luisa Cortesi (PhD Yale, Department of Anthropology and School of Forestry and Environmental Studies) is the Taylor Stanford Postdoctoral Fellow in STS and Anthropology at Cornell University. Luisa studies how people learn from increasingly difficult environmental conditions. She works in North Bihar, India, an area known for its recurrent and increasingly disastrous floods and toxic drinking water. Thanks to several grants, for example from Fullbright-IIE, Wenner Gren Foundation, Social Studies Research Council, and American Institute of Indian Studies, she conducted over 3 years of dissertation fieldwork. Prior to her PhD, Luisa served as a water expert for the United Nations and for several NGOs in India, including in Bihar, where she experienced the two major floods of 2007 and 2008. Recently, Luisa has been awarded the Josephine de Karman fellowship, the Curl prize by the Royal Anthropological Institute, the Eric Wolf prize by the Political Ecology Society, and the Praxis biennial award by the Washington Association of Professional Anthropologists.